@ the ROYAL YORK HOTEL!!! 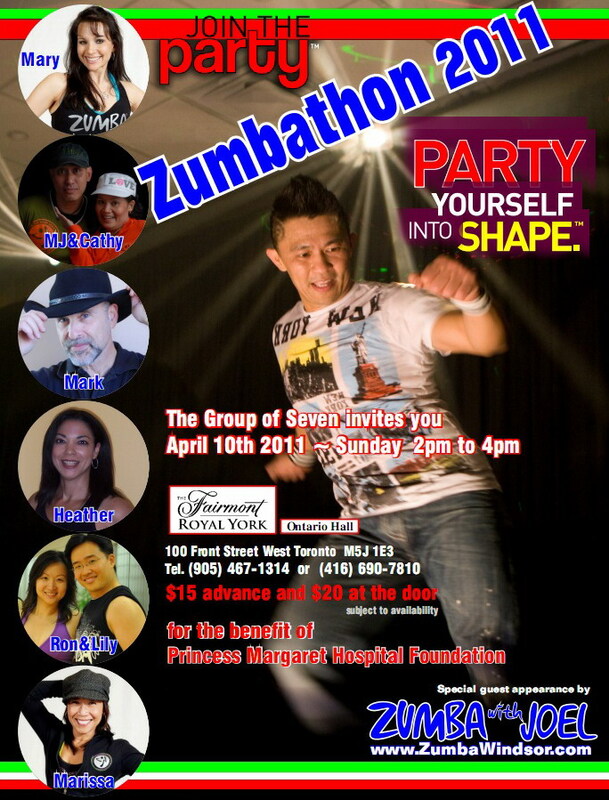 The Group of 7 invites you to Dance, Party, and Zumba your heart out, all for an amazing cause! It’s a Zumba Party like NO other!!! 2 hours of crazy Zumba Fun with instructors from across the GTA. All proceedings will go to the Princess Margaret Hospital! Additional Pledges to Princess Margaret Hospital could be made here at http://www.pmhf.ca/Pages/Events/. Pledges of over $15 or more will receive tax receipts. We thank you in advance for whatever you can give! Contact us for any questions or reservations!